Yup…you read it right. We will now have gluten free fish HOAGIES and fries through the end of Lent. This year was a record-breaking year for our original gluten free fish, and we sold out last week, three weeks earlier than last year. So, for those of you begging for a sandwich, your dreams have come true. Each platter comes with our gluten free breaded fish on top of our new homemade rustic gluten free roll. Each hoagie is topped with lettuce, tomato, onion, and cheese. Served alongside with an order of fries and a cup of Amish slaw, you will be in awe. 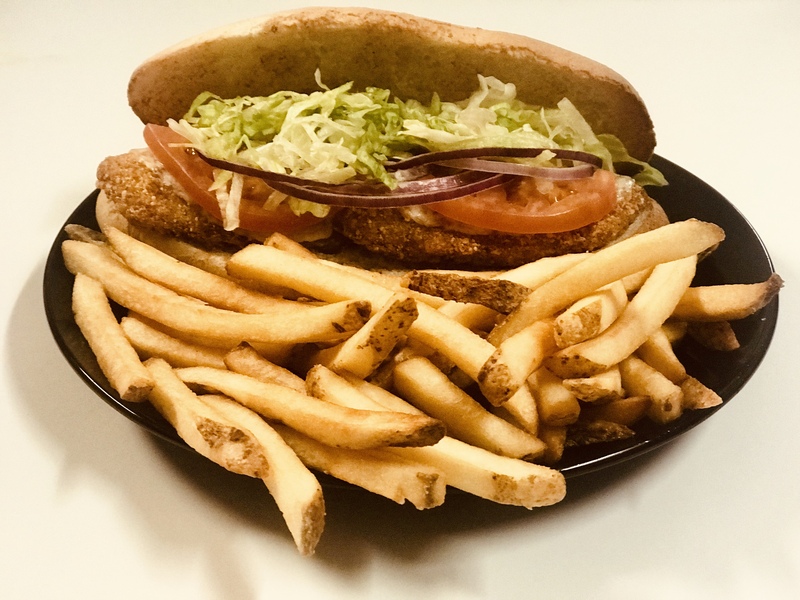 AGAIN….WE HAVE SOLD OUT OF OUR HOMEMADE BATTERED FISH PLANK DINNERS AND WILL BE SERVING OUR BREADED FISH HOAGIE PLATTERS FOR THE REMAINDER OF LENT. It's Wednesday 12:06 PM — BOOYAH...We're open!